I want to love the Ephemeral Infusions series from Prada.1 Infusion d'Iris, the fragrance that inspired the series, is one of my favorite scents, and the packaging, as always from Prada, is picture-perfect. You could almost get me to buy them just for the gorgeous outer boxes (see below), and the perfectly-aligned, dyed-to-match fabric covering the caps. So I do try to love them. But the "veil of scent" / watercolor concept that worked so well in Infusion d'Iris (and in Prada L'Eau Ambrée, although it is not part of this series) has just seemed, well, wimpy, and dull, in the scents that followed (Infusion de Fleur d’Oranger, Infusion de Tubéreuse & Infusion de Vétiver). It is not just a case of oh-this-is-really-nice-just-not-me, as it was with yesterday's Jardin Sur Le Toit, but more wow-this-could-have-been-awesome-but-somehow-it's-just-not. Still. I like Infusion d'Iris, and I like Prada, and I like the work of the perfumer, Daniela Andrier. So I was happy to hear that rose was up next. The description — "fresh rose petals mingle with tea, roses and honey, crushed in the hand with mint leaves" — sounded perfect. And I will say that of the Ephemeral Infusions so far, this one is my favorite. Plus, at least it smells like rose — Infusion de Fleur d'Oranger smelled mostly like baby aspirin and soap, and Infusion de Tubéreuse smelled like flowers, but not tuberose flowers. Infusion de Rose starts off with some promise. The opening is a bright citrus tea, joined in short order by a sheer rose with a lightly sweet honey / beeswax note. Then the tea fades, and the rose, while remaining soft, turns powdery-sweet. It doesn't get heavy, but it does take on a rather old-fashioned air. The mint struggles to make a showing — on some wearings I noticed it, on others I didn't. On my skin, the trajectory I've described above takes about 15 minutes, after which, nothing much in particular happens. It's a pretty enough rosewater-y rose, clean and pale and delicate, but it's rather plain, and it stays that way for the duration. Infusion d'Iris showed a different side of iris as a fragrance note, and I've heard from more than one person that it was their "gateway drug" to iris perfumes. You could argue that likewise, Infusion de Fleur d'Oranger and Infusion de Tubéreuse said something new about their respective floral notes even if I didn't particularly like what they had to say.2 Infusion de Rose, well, it smells like rose, but it also has much more competition; pale rosewater-y scents, after all, are not so very hard to find. There are modern roses, there are old-fashioned roses. There are roses with tea, there are roses with mint. If Infusion de Rose is adding anything new to the mix, I'm missing it entirely, and there are certainly pale rosewater-y scents with more personality than this. Verdict: it's pretty enough, and very wearable, but doesn't keep my interest. 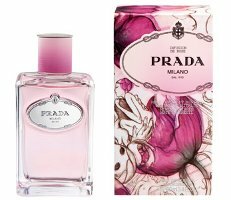 Prada Infusion de Rose is a limited edition, and is available in 100 ml Eau de Parfum. Note: image is _DSC5293 [cropped] by S▲NI GZ at flickr; some rights reserved. 1. Actually, I don't know if they're still using the name "Ephemeral Infusions". 2. Note that I'm leaving out Infusion de Vetiver — Kevin reviewed that one and I only tried it very briefly, and on paper at that. I hardly remember it. Shame, the list of notes sounded interesting and the packaging is just so very pretty. This just reinforces my opinion that a really good rose perfume is actually a very rare thing despite the huge number of available options out there. I do not understand what they’re after with this series. I keep hearing it sells well, but the ratings on MUA aren’t good, and I always (perhaps quite wrongly!) think of that as a decent gauge of public reception to new fragrances. I am looking forward trying this one. Regarding the sales part, I don´t see the tuberose and vetiver on the duty free shops at airports anymore (perhaps a leftover bottle somewhere) so I guess they stopped producing them or at least they have reduced distribution. Neiman Marcus still had a whole shelf of the tuberose. I did not walk over to the men’s section to see if the vetiver was there though. And maybe all that tuberose is just leftover from last year. Also I was just in Curacao for my honeymoon (got married last month! hehehehe) and I was in the Bogotá Airport in Colombia for a layover and the Curacao duty free shop (and downtown willemstad shops) and you could find perhaps ONE of each at each location, but not ALL. I am betting they are all leftovers. Oh, many many congratulations, that is wonderful news!! Was this the rose scent from a few weeks back that was supposed to have peppermint as one of the notes? If it was, Prada should have read their own PR material. tea rose, not so much. and this was the peppermint rose. Why do I always forget to use them first? The other rose + mint that immediately comes to mind is Rosine’s Diabolo Rose. I also found that one too wimpy, although if memory serves I liked it better than Infusion de Rose. Rosine’s Rose d’homme is a really nice sandalwood/rose scent. Rose d’Homme is excellent. Love the sandalwood in the base…all around good scent for men and women. Have you tried Secrets de Rose? This is my other favorite of the line, I bet you’d like it. I love Prada scents. I own full bottles of both Infusion d’Iris and L’Eau Ambrée. DH now wears both Amber Pour Homme and Prada Intense all the time too. 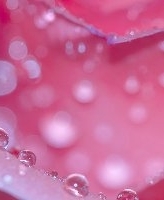 However, I never wear rose scents in the summer as I find them all way too heavy on me in the heat and humidity. I even find Stella Sheer cloying in the summer. I love Stella Absolute in the fall and winter though. I was hoping this Prada release would allow me to wear rose in summer. I will try it out but I will not have any high expectations. Thanks for the great review, Robin. Mmmmmm L’Ombre dans L’eau…. this was my very first “niche” purchase and I love the fresh green and bright rose. It’s perfect for hot hot summers. I tried it once in the winter and it didn’t work, but it’s great for a hot summer night. The staying power is super – lasts a good 8 hours. I do really like Hermes Eau de Pamplemousse Rose but I personally don’t get any rose from it. Just good times grapefruit and citrus all the way. One of my favs is CdG’s Red series: Rose. I don’t think it’s been reviewed on NST but it has a burst of raspberry and then a lovely rose. It has good staying power too which surprised me because it’s also very light. WOW! thank you all very much for the great recommendations! I’ve also been searching for a summer rose. I just received Beach Roses from Dawn Spencer Hurwitz and hopefully it will work for me…! Robin, have you ever tried the Crabtree & Evelyn Rosewater scent? During the summer I find it quite lovely and not at all old fashioned on my skin. Of course I store it in the fridge, too, so that may make a difference. I’m sure I must have during my lifetime, but not lately. I’ll try to find it — the C&E store near me closed though. But will also say that I like a nice old-fashioned rose! Just was surprised to find that vibe in this series. I used to wear that C&E Rosewater all the time for years … until it got more competition for all my summer scents. It’s a good light rose for the price point. Will add that the Body Shop Moroccan Rose is also really nice for the price. Keep meaning to try the matching body butter stuff. Doh! The Body Shop at my local mall just closed. Robin, its strange. When infusion de iris came out it just left no impression on me at all. Then at some point I became infatuated with infusion d’ homme as a luxurious soapy scent. Since no-one else could stand this on me I never bought it. Instead I retried, for the umpteenth time infusion de’ iris. And I don’t know what it is but I became totally addicted. The closest description to the way it affects me was from someone who said iris always smells like wet cement in a basement to her. Only she hated it, and I seem to LOVE it. It may well be the first floral I have ever loved and I’m just waiting for the mothers day gift packs to come out here so I can score the lotion as well! It isn’t off topic at all…and isn’t it funny when someone tells you something smells like wet cement in a basement and you agree AND you love it? That’s true perfumista-hood. Next thing, you’ll be wearing Comme des Garcons Garage, LOL…. Wasn’t Angela recommending something “hairy armpit” the other day, too? Maybe there’s space on your right elbow? Hairy armpit – yum! I would definitely have that on my throat. Eeks, I’m feeling a bit ill! This really does sound promising with the rose + tea + mint thing going on – and that it would be a good summer weather rose scent. But I trust your judgement and even though I’ll try it, I think disappointment will be inevitable based on your description. So (just because I’m suffering from Friday brain and am easily confused), you like this better than Id’I? Or just better than the other ones? Oh no, I said I like this best of the “Ephemeral Infusions”, which are the limited editions…the original IdI is not in that group. Ah, there now, see? Confused. Thanks for the clarification. Yeah, but I think maybe it is still my fault, it probably is not clear in the article that IdI is not in what I’m calling the EI series. And like I said in a footnote, I don’t even know if Prada calls them “Ephemeral Infusions” anymore anyhow! Robin – thanks for the review. I am really curious to sniff this one, but I was always doubtful it would merit inclusion in my collection that already has enough roses. Maybe it won’t be as gateway as Infusion d’Iris, but there are still plenty of people floating around that think roses are granny perfume. But I’ll save my $$ for something like the KM Attar de Roses or something light from Rosine. I always wished they’d released the Rose d’Ete eau Fraiche in the US…. Here’s the thing…because of the sweet powder, I think those people are going to find this a granny perfume too. It isn’t at all “young” to me. See what you think. Rosine has such crappy distribution in the US, it’s a shame. It takes forever for things to get here, and by the time they do I’ve forgotten all about them. I ordered the Rosine sample set from their website. Bargain price for twenty 2ml vials, and it shipped from France to the US in just one week. I’ll keep that in mind about Rosine. I never thought to do that. There are a bunch in the line I’ve not tried yet. I highly recommend ordering the sample set of the Rosines! The sample set took just over a week to arrive to Canada and 20 euros is pretty reasonable for so many samples. I’m just getting into perfumes and, as I really love rose scents, I figured the Rosines were a good place to start learning about one of my favourite notes. I did that to, GG – what a treasure trove! Also, it’s very smart of PdR to offer it, I think. The huge number of their different rose scents really scared me off for a long time, but the opportunity to obtain all of them in one fell swoop to try at my leisure was irresistable. I really like some of them and am sure I’ll end up ordering one or two. Reading this post has made me want to retry D’Iris, instead of try Rose! I sampled it way back when it first came out, but was very unimpressed at the time. Mythique was my iris gateway drug, and I wonder if I sniffed the Prada again I would like it more now. I saw a gift set at TJMaxx just the other day, maybe it is still there. Mythique is a pretty one too. Infusion d’Iris is one of my many “don’t have to think about it”, easy-going kind of scents. Yes! I just went over and dabbed some of my mini I d’I to retry it! My first impression was to smell practically nothing at all. This time around (with my nose educated by a few months’ sniffing), it is still VERY sheer on me–nearly scentless with a touch of earthy flowers (iris?). Still concluding it’s in the “not for me” category. . .
That was exactly how it smelled to me (or maybe on me) when it first came out. Now its actually quite sharp; sharp enough to stand out from anything else I am trying. Its one of the few things I smell traces of, while wearing, without bringing my skin to my nose. I have to admit I have no idea of whats caused the change really. Prada Infusion serie has an interesting concept for me. Prada Infusion D’Homme is so unique. Robin, for me Infusion de Vetiver is a bivitellus Infusion D’Homme’s brother: it has the same soul, almost the same smell, but it’s a little bit more earthy, green, less dry, soapiness and have less projection and staying power. Interesting. I do think there are elements of Infusion d’Iris in the Fleur d’Oranger & Rose, maybe less so in the Tubereuse. When I tryied Tubereuse I had the same impression as you. But there’s something in the base notes that remembered me Infusion D’Iris (I found it when I was taking a shower- I like to smell the base notes while bathing). I hope Prada makes something new in the masculine Infusion line, although they had launch Amber Intense. I am with you R. I have tested this twice and it starts off very pretty, I think. 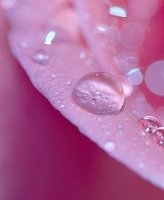 But after a short time it morphs into a pleasant soapish light rose- SO light on the rose that I am bored. I have a sweet friend who bought it today- who wears the Iris (which I love smelling on her- so it is still in the “why don’t I have a bottle of this” list)- and I think she will enjoy it a lot since she likes her fragrance light and clean. I’m sure many people will enjoy it…it’s quite pretty enough, and light and clean as you say. “Pleasant soapish light rose” is a good way to put it! I went, I sniffed, I passed. Meh. I’m so looking forward to this, as rose is one of my favorite notes. And the bottle, wow. But, as stated before (the wet cement in a basement-scent) all other Infusion de has left me cold. For a really nice tea and lemony rose-scent, try Paul Smith Rose. It’s very summery and pretty. Not niche but not really mainstream either. Anna, did I crib the phrase from you? I too enjoy Paul Smith’s rose. Its brightened, I think, with green tea, but to me its one of the few scents that smell like I expect a rose to actually smell. Every time I wear it I think I should wear it more often! Actually, its the only floral I own, but infusion d’ iris (totally different) will eventually join it. Paul Smith is another one with very crappy distribution in the US. It’s no easy thing to try them…I never see them. Yikes, something is available here that isn’t in America! Gasp of triumph!! But, seriously, its the only Paul Smith I have liked. In fact, the bottle is fast (horror of horrors) approaching empty. I too love the original so I keep wanting to love the variations but none of them do anything for me. I hope I can find this one to see if I like it. Even if I did like it, I’m not sure I’d buy it. I would never use it up. i’m still working on a Stella Sheer in the 100 ml size from like 4 years ago. Too the LE Pradas are not available in the 30 ml size. *Too bad* I meant to say. Yes, I do wish they’d do smaller sizes! 100 ml is crazy. I do love to try a new rose scent, but I have so many already that it sounds unlikely that this will make the cut. I agree that the rest of this line seems lacking and after the first 15 minutes; downright boring. L’eau Ambre is excellent –nice, no-brainer stuff on it’s own and really handy for layering. I’d love to see a L’Eau Ambre Intense. Infusion d’Iris is one of my favorite irises (although it is very light so spraying with reckless abandon is recommended) and I found early on that it mixes very well with Hermes Hiris…so much so that I hardly wear either one alone anymore! oops sorry ….that’s L’Eau Ambrée…. I promise my spelling improves as the caffeine level in my blood rises. Hey, isn’t the original Prada basically Eau d’Ambree Intense? I have never tried layering with Hiris…will have to try that. really? I have never tried the original Prada…..I will now !! Thanks! I have not liked any Infusion, even Iris (I like the edt MUCH better than the original edp, but don’t need it). I will dutifully smell this, though, because I do really want to like one. I know the reviews have been so-so but I still desperately want to try this – The roses in my garden are blooming beautifully and I have never found a rose scent that truly captures that! I love Infusion de Iris, it is my constant handbag companion, and L’eau Ambree is my first choice for an evening – I want to love Rose as much as these two!